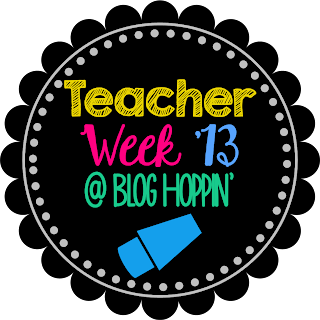 I just saw the blog hop for teacher week so I had to join in. Yesterday was Meet the teacher day so since I didn't post about this, you can learn all about me using the tab in my top bar. Today is dedicated to classroom tours. 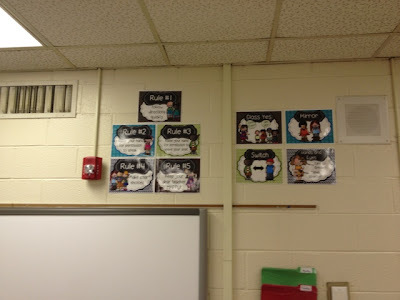 I still have a LONG way to go with my classroom but I did take several pictures today of some finished projects in my room. 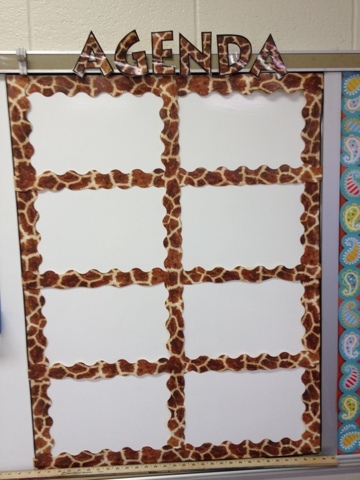 This is my agenda board where I will write I can statements and homework for each class period. 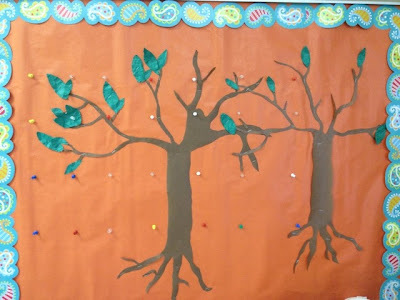 Here is a reading bulletin board my cheerleaders made for me. 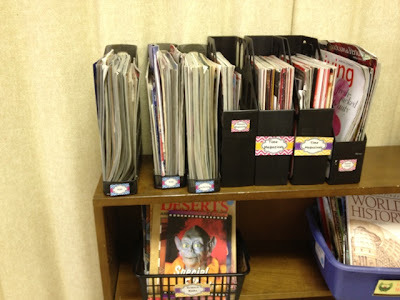 I still need to laminate the words for it but I found this idea on Pinterest to hold reading beads. The thumbtacks on the board will be holding string for each student to have their own necklace. They will earn a bead for every book they finish. I'm in love with these rule posters and signs that go along with Whole Brain Teaching. I found them for free on Teachers pay Teachers! This is just a small look at my nonfiction section. It is taking forever to scan all of my books into the classroom organizer app, even with the help of several cheerleaders. I do love the labels I found for free on Teachers pay Teachers. This is how much clutter I still have on my tables at the end of day 2. I have my tables set up in 5 different groups and my new room has more space than my old one which I'm very excited about! I still have so much to do but I'm very proud of all that we have accomplished in two days. 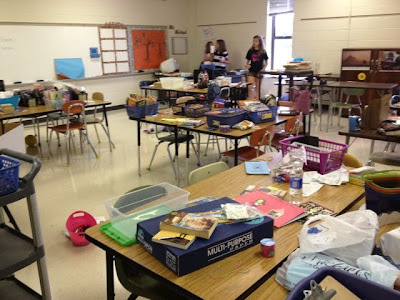 What is your classroom looking like so far? 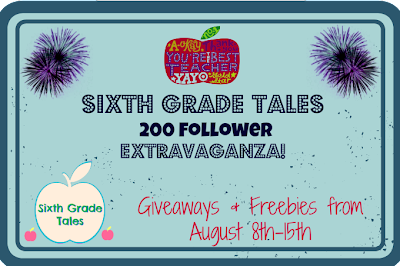 Don't forget to enter to win a $10 Target giftcard and a Teachers pay Teachers bundle. There are only two days left to get your entries in.